For the past two years now I have placed an upside down terra cotta pot border along one side of my spruce tree and deck to contain a small perennial bed I have under a tree. The perennials include sedums, astilbes, hostas, and lady's mantle. This will be year three on the perennials so I am expecting a good show! ***I have received several questions about the farm implement leaning on the tree. It is a vintage seeder. 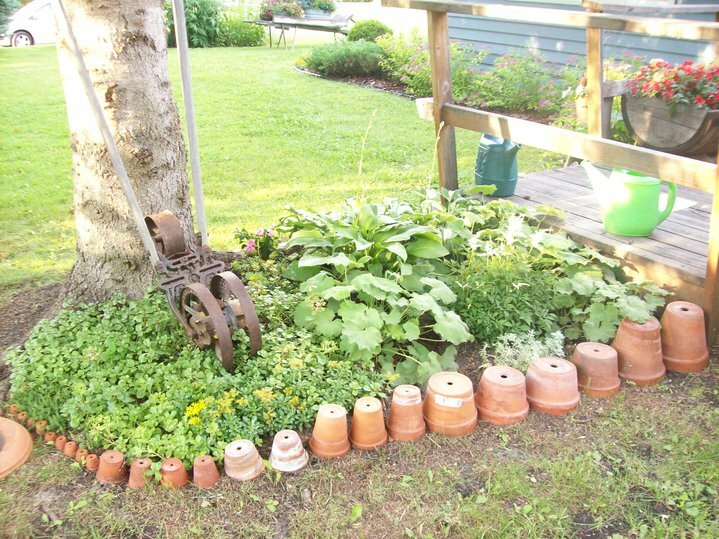 Carlene, What a cute idea, now I'm going to look for more pots. I like your antique garden tiller? seed sower?...thingy. What is that roller-thingy? I want one! The rule for perennials-1st year they sleep, 2nd year they creep, 3rd year they leap! New follower! That's a really cute, easy idea! Looks great! 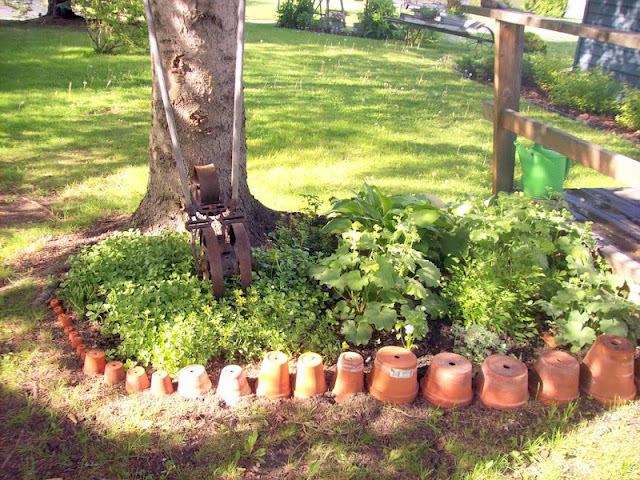 Sweet idea using upside down clay pots. What a fun way to create a border! It adds interest to the landscape! Thank you for joining TTF and have a wonderful week!